According to Robert Frost, “Freedom lies in being bold”. It takes a certain amount of courage for a leader to give its subordinates the liberty of reaching their objectives in the best way they see fit. And though it can be seen as a great leadership move, it is very challenging to define its boundaries. In a workplace environment, freedom is applied in the ability of keeping non-traditional hours – contrary from the 9-to-5 setting the majority of the workforce is used to, work from home, taking limitless vacation days and exercising creative approach in meeting career goals. Despite of how taboo the concept of flexible working may seem, a significant shift in the workforce has been observed over the past years. An increasing number of employees are turning away from the traditional model of work hours. New ways of operation continue to grow in popularity, transforming our offices and giving us a precaution for a big change that’s about to happen in the near future. Last year, the industry has been exposed to more information about remote work. In India, 53 percent of their workers prefer to work from home. All the while in the United States, 38 percent of employees say that they are able to work from home at least once a week. Over in the United Kingdom, the number of people working from home grew by 800, 00 to more than 4 million, and an estimated 1.8 million of workers would do so if allowed. And in developing countries, an estimated 10 to 20 percent of managers work remotely. Private companies and even governments have also begun to formalize remote work. In Saudi Arabia, 500 companies in 70 cities allow people to work remotely. On the other hand, Japan’s Toyota announced that it will allow one-third of its workforce to start working remotely. Turkey also took into consideration the discrimination remote workers get based on how they perform their tasks. Surveys and statistics prove that this shift towards flexible working is real and not a myth. With the surge of overruling the traditional ideologies the workforce have had for decades, the demand for a kind of workspace that allows freedom to its employees have materialized. With the growth at an average of 61%, coworking spaces can now be found in countries around the globe. The market have skyrocketed over the last three years and according to the Global Co-working Survey, nearly 1.2 million people worldwide will have worked in a co-working space by the end of 2017. With an open office setup, its design aims to integrate the comfort of your home, ambiance of your favorite café and functionality of an office. Coworking spaces is different from the traditional workspace in a sense that it gives you more freedom to choose the type of set up you think would be best for you and creates a community that fosters collaboration. 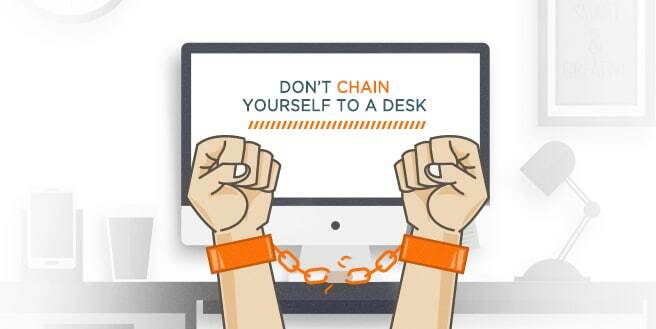 Getting sick of your desk? No worries! Grab your things and move! In need of social interaction? Why don’t you join the rest of the crew in the lounge area? Just imagine, no restraints on what you think works well for you. Can you see it now? If not, hit us up and we’ll give you a sneak peek on how liberating it is to be free. Over the years, experts have observed a significant change in the traditional 9-to-5 work day to the point of saying that the eight hour grind may soon be an exception instead of a rule. According to the communications firm Euro RSCG Worldwide, one of the top 12 trends for 2012 is that employees of the Generation Y or Millennial demographic are overruling the traditional workday. It shouldn’t have come as a surprise to the world that millennials are starting to take over the current workforce. As of writing, the overall Asian workforce is being dominated by this new wave of people at an estimated 48% — ranging from ages 15 to 34. The current Philippine workforce is closely following this trend at 44%. The U.S. Bureau of Labor Statistics even predicts that by the 2030, the said demographic will make up 75% of the workforce. Known for being tech-savy, creative, and independent, Millennials are one of the strongest driving force behind the arising changes in the workplace. Despite of the bad reputation and stereotypes this young generation seemed to be getting for challenging the conventional way of working, they probably have a logical reason for not wanting to chain themselves to a desk. The generation of young professionals today value autonomy and independence in the workplace, unlike their parents that valued the security of 9-5 desk jobs. Millennials are risk takers who are not scared of switching from one job to another – a complete contrast to those coming from the older generation who held their jobs with a tight grip. According to the 2016 Deloitte Millennial Survey, one in four Millennials would quit their current jobs to join a new organization or do something different – if given the choice. The said figure increases up to 44 percent when the given time frame is expanded two years. And by the end of the year 2020, two out of every three respondents hope to have moved on from their current employers. This seemingly lack of loyalty may be fueled by the wants of the employees to continuously develop their skills and to remain happy. This generation won’t give changing jobs any second thoughts if this change would give them greater opportunities. Another study have said that 37% of Gen Y workers would rather have their pay cut if it meant more flexibility – a balance between work and play. Studies have also said that flexible working have positively affected their productivity and loyalty to their company. Almost all employees coming from different demographic share this desire for flexibility, but none more than Millennials. This generation tend to prioritize work satisfaction and out-of-work happiness than earning the most money. Though often seen as laziness, Millennials are known to have 50-60 work weeks and this includes evenings and weekends. With a more flexible work hours, you have a greater chance of spending time on leisure and loved ones. A person’s mental and physical health can greatly affect their work ethic and happiness. Older generations may have made it look like it is something hard to achieve but the Generation Y are living proofs that a high quality of life is possible. The increasing demand for a more flexible work hours and office environment paved way to opportunities for a new kind of office space: Coworking Spaces – one of the latest trends in the business industry. Coworking spaces are membership-based workplaces that offer a more comfortable work area for the freelancers and entrepreneurs of this generation. Not only will they be providing an affordable workplace with a guaranteed smooth sailing business operation, it will also give you a change of scenery. It suggests that the combination of a healthier work environment and a great work experience can become part of a company’s strategy in creating a happier atmosphere in the office that will not only help your employees improve their productivity but also benefit your business to thrive. The ideals that Generation Y have may be unconventional but the rest of the world should give them credit for the innovation they have brought upon. And with majority of today’s workforce coming from this demographic, are you ready for them? Talk to us on how you can catch up on the trend of flexible working hours.